Thursday, May 17, 2018 - 10:00 a.m. This workshop will enable you to gain a better understanding of the various SBA programs and services that are available to potential and existing entrepreneurs who need assistance in starting or expanding their small business venture. Thursday, May 17, 2018 - 10;30 a.m. It is essential that your business shows up in those critical moments of an online search. Do you know how your business is showing up? People no longer "go" online, they live online. More than ever, it's important for businesses to show up in those critical moments when potential customers search for answers, products, and services they need. Join us as Google's official trainer, Demming Bass presents how to maximize your business online. This seminar is ideal for anyone who wants to learn new marketing skills or reach potential customers online. During this highly-anticipated seminar, attendees will learn about search engine optimization (SEO), search engine marketing (SEM), content marketing, and social media marketing. Demming Bass, Official Speaker for Google's "Get Your Business Online Program," will unveil a strategy that can get your organization, business, or event in front of your target audience. Friday, May 18, 2018 - 9:00 a.m.
Cash is King! Learn how to manage it! "Cash is king" for small businesses and is the blood that keeps businesses going. This workshop focuses on all aspects of cash-flow management. Without cash, profits are meaningless. Many profitable businesses, on paper, have ended because they ran out of cash! Your business doesn’t have to be one of them! In the Financial Statements and Business Cash Flow workshop, attendees will learn about: the difference between an income statement, a balance sheet, and a cash flow statement, cash shortage and cash surplus, collecting on accounts receivables, just-in-time inventory for cash savings, budgeting, and installing a cash management system. Friday, May 18, 2018 - 9:30 a.m.
With nearly 96 percent of consumers living outside the U.S. and two-thirds of the world’s purchasing power in foreign countries, opportunities await U.S. small business. Go where the customers are. There is significant opportunity for small businesses to profit through importing and exporting operations. Do you have what it takes to become a successful international business? Are you ready to make international sales? Importing / Exporting offers great opportunities but requires preparation and planning. 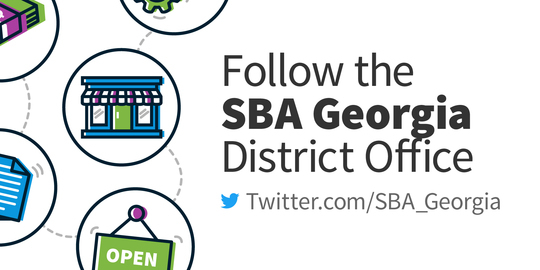 This is a two part series taught by international experts from the Georgia Small Business Development Center, a resource partner of the SBA. The workshops will help you gain the knowledge to develop and implement an international plan. You will become acquainted with the key components of an effective import / export plan. The instructors will raise questions you should answer to complete your plan and provide the resources to help you answer those questions. * organizational and product readiness, * market research, * guidance for developing your strategy and marketing plan, * promoting your products in target market, and * complying with US and foreign regulations. Friday, May 18, 2018 - 10:00 a.m.
Lead generation is pivotal to the sales process and business success. What's your process? Done correctly, and with the right tools, lead generation doesn't have to be challenging OR complex. Join us for this workshop and leave with the skills to: Fill your pipeline easily and continuously, Create an efficient lead generation process, Increase your brand's awareness in the marketplace, and Use quantifiable and strategic measures to gauge success. Monday, May 21, 2018 - 2:00 p.m.
Wednesday, May 23, 2018 - 10:30 a.m.
One of the keys to a successful business start-up and expansion is your ability to obtain and secure appropriate financing. To be successful in obtaining a loan, you must be prepared and organized.